Shop is also a wonderful feature in Little Big Snake game! 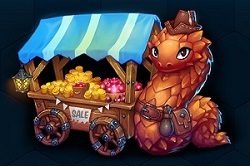 Surely it will make this Slither Style game more exciting because you can purchase more coins and rubies for the in-game items like skins, evolution, etc. To gain an access t the shop, you have to register your account using your email, Facebook, or VK account. 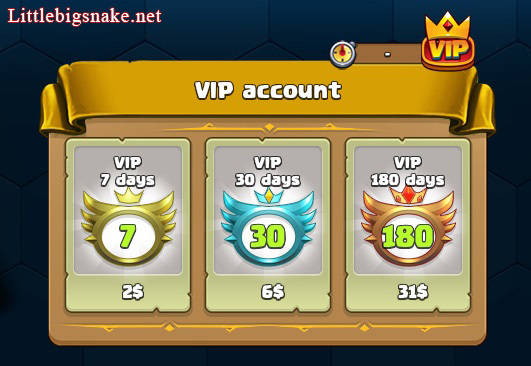 When the shop is opened, you will see that there are three types of VIP accounts with a different number of days of usage. Also, the shop displays many prices of coins and rubies. 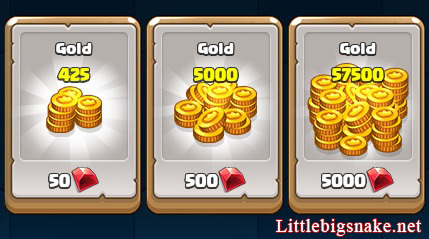 You can purchase the coins by using your earned rubies, but if you have no rubies yet, you can buy them with your real money. However, the ruby purchases are temporarily unavailable, and this happens to the VIP account purchases too. Just keep calm and wait for it because the purchasing system will be available in the short forthcoming time. Hope you have fun with this great feature!